Over the past decade, DevOps has transitioned from tech buzzword to proven software development and delivery methodology driving real-world business results. However, too often we see a lot of focus on agile development and not enough on agile "Ops". To streamline the DevOps process and create a truly agile workflow, development and operations teams need to see their relationship as a marriage instead of merely coexisting. Against this backdrop, here are three DevOps trends for enterprises to keep an eye on as we move into 2019. 1. The once-shiny object of ‘no-Ops' has lost its luster - The quest for enterprise agility that assumed Dev could ‘do it all' has run its course. In 2019, Ops will reassert its role in the DevOps team with a reinvigorated focus on key values by baking governance, production orchestration, stability and scalability into the cake before it gets put into oven. We suspect Dev will be delighted to have Ops back. 2. They call it a speed-bump for a reason - DevOps has proven to be a critical element in helping today's businesses digitally transform. But one area where DevOps teams still struggle is the Dev-to-Ops handoff into production. Why? Because it's still too manual. 2019 will be the year when adding jobs-as-code to the front end of the software delivery lifecycle will go mainstream. Taking this simple, powerful approach of coding automation instrumentation along with the business logic and infrastructure-as-code, then running it all through the CI/CD tool chain, will help DevOps teams blow by the manual speed-bump into production. Get ready to run fast with no pit stops. 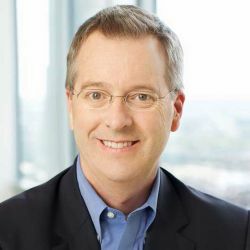 Tim Eusterman is the senior director of solutions marketing at BMC Software, responsible for leading market strategy and execution, BU and product positioning, demand and content marketing, and sales enablement for the Digital Business Automation business unit.